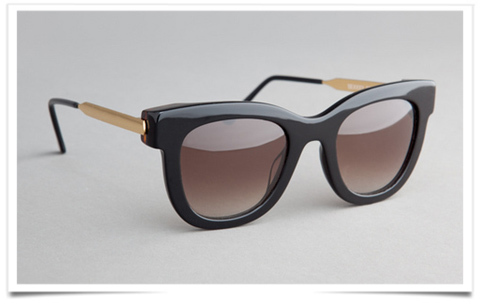 French designer Thierry Lasry launched his eponymous sunglass line in 2006. Raised in a highly creative environment by an optician father and a designer mother, Thierry Lasry goes on to create a sunglass brand aimed at a certain elite looking to mark themselves out from the crowd. Eclipsing their basic primary function, Thierry Lasry shades are swiftly adopted by fashionistas as the latest must-have fashion accessory. As the new beloved of the local and international fashion press, Thierry Lasry, within the space of six years, ranks among the most high-profile talents in the designer eyewear world. Demand bubbles for his creations all over the world. This entry was posted in BREAKING MODE, BREAKING NEWS and tagged fashionoutsider.net, modeaparis, MODEPARIS by admin. Bookmark the permalink.